Your hair can become damaged from constant sun exposure, chemical treatments, and thermal styling by stripping off the moisture and breaking of the protective layers off your hair strands. Without the protective layer of your hair, the inner fibers in the strands will be exposed, causing it to be more fragile and prone to breakage and split ends. 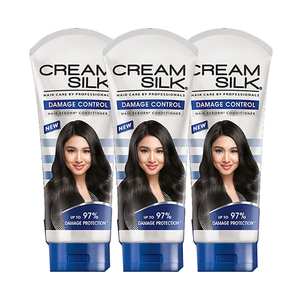 Cream Silk Damage Control is the Customized Solution for damaged hair. 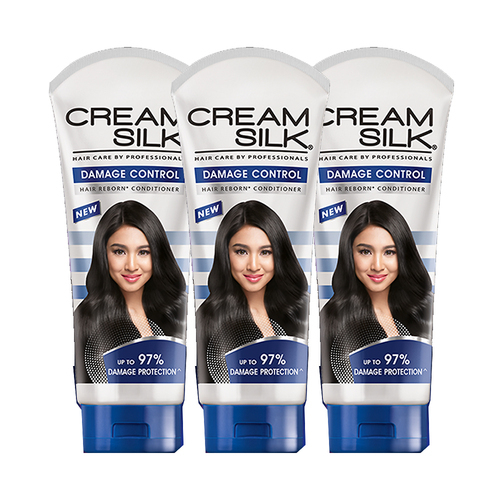 Intensely repair the damage caused to your hair with the Cream Silk Damage Controls Fiber Repair Complex. 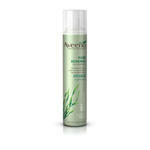 Get healthier-looking hair with up to 97% damage protection against breakage vs non-conditioning shampoo only.